Email deliverability rates are impacted by following standard best practices. But adhering to such best practices and industry standards is often not enough. Your email needs to land in the inbox. Your marketing team needs the recipients to engage with those emails. Business owners expect emails to convert to subscribers and ultimately into sales. 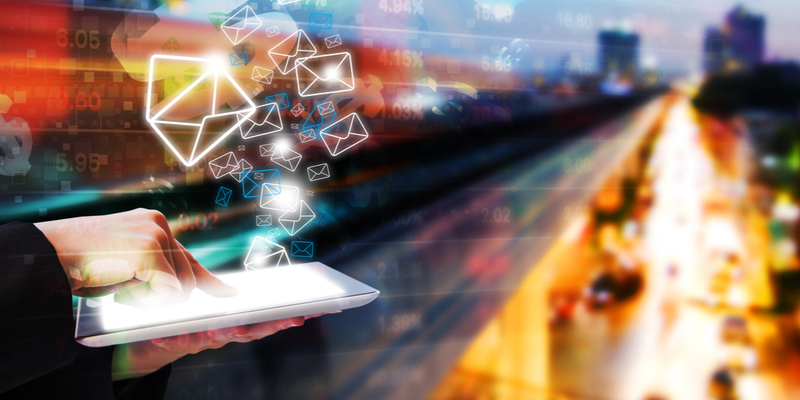 What factors determine and influence the deliverability rate of an email used for marketing. When marketers evaluate their email results, they look at engagement metrics based upon how the recipient engaged with or did not engage with the email they received. However, emails face the Goliath of companies that evaluate such metrics also. Such companies are called email service providers (ESP). These companies include Gmail, Yahoo, Microsoft, etc. Corporate email servers also have the dreaded IT guy who does not like you either. Email service providers view your email recipient as their customer, not yours. Marketers must pay attention to email deliverability factors and metrics. The positive and negative interactions with email subscribers determine where your incoming email is placed. Viral Solutions recently attended an event sponsored by ReturnPath. ReturnPath conducted a study using global consumer data consisting of over 17,000 commercial senders, 2 million consumer panelists, and over 5.5 billion commercial email messages sent to Microsoft, Gmail, Yahoo, and AOL users between January 1, 2017, and December 31, 2017. ReturnPath has distributed a free report about the hidden metric of email deliverability, and the following article is our notes for our readers. If you would like your own copy, please go to this link at ReturnPath.com. What metrics do email service providers look at? Some of the metrics mentioned above may or may not be familiar to business owners that use email for marketing purposes. Most can only be controlled over the long haul through list hygiene actions. As you can see from the list above, while marketers measure open rates and click-through rates, the ESPs measure other factors. Most marketers are unable to access these metrics or use them to improve email deliverability. Spam Placement: This is the number of emails delivered directly to a spam folder out of the total emails sent. The receiving ESP is evaluating this metric based upon their recipients and not all emails sent to all ESPs. Typically, this email was unsolicited bulk email and was filtered out. What determines spam? Whatever reason the recipient has for marking the email sender as spam. Yes – even if the recipient has confirmed they want your emails! What can trigger a spam block? The words or content of the email body or subject line, as well as the reputation and transmission patterns of the sender. What is the average spam rate? The average email sender has over 13% of their emails hit the spam folder. This is down from 16% in 2016. Pet stores and pet supply online stores/products are the biggest offenders! The automotive industry has done the best job of lowering their spam rates. Read Rate: This is where the email recipient marks the email as being read, even if they did not actually read it. This is not to be confused with an open rate for emails. This metric is far more accurate than a viewed rate based upon image download, but few marketers can measure it. What factors influence the email read rate? The subject line, time of day the email was delivered, and the overall reputation of the sender. How should marketers use the email read rate metric? This metric helps a marketer determine the success or failure of a given email and should be tracked for every piece that is sent. What is the average read rate of an email? According to ReturnPath.com, the average read rate in 2017 was just under 22%. Manufacturers topped this list at 57%. Nonprofits and educational resources tend to fall below 15%. Deleted Before Reading Rate: This is the end user mentally ignoring the email received regardless of the sender or the subject line. What factors can influence the delete before reading rate of an email? The top reason is sending emails to people who did not request or subscribe to receiving emails. Failed campaigns can impact this rate in the short term, but the long-term factor has to do with consistently emailing a bought list. How does the email service provider interpret the delete before reading rate? ESPs view this metric as a measure of disinterest and they tie it to the domain of the sender. What is the average rate for emails deleted before reading? 12% of emails are generally deleted before reading. As we mentioned, manufacturers enjoy the highest read rate, so they have the lowest deletion before reading rate at under 6%. According to ReturnPath.com, the pet industry and the home improvement industry have the worst rate in this category at 15%. Reply Rate: This is the number of emails that the recipient directly replied to divided by the total number of emails sent, and each ESP gauges this based upon their recipients, rather than the entire list. What determines a high email reply rate? Again, engaged subscribers or even those who reply asking to unsubscribe will raise this rate. If the sender does not receive replies, that does not hurt this metric, but having a high reply rate does help immensely. What can an email sender do to raise their email reply rate? We do not suggest the use of “noreply” addresses; instead, we highly recommend having a real person monitor and respond to email replies. Reply rates average less than 0.1%, with insurance and telecommunications firms averaging over 2%. Forward Rate: This rate is determined by recipients receiving an email that they like so much, they send it to a friend or colleague. Forward rates are increased when someone finds the content so valuable that they feel it is relevant to someone they know. High forward rates equal high engagement rates. Just like reply rates, the metrics are very similar and the industries that do well here are the same. Rewards programs and dating sites rarely have any emails forwarded. Complaint Rate: These are recipients who reported the email as being spam or junk. Just as in other metrics previously mentioned, the complaint rate increases with lists that are not opted in and by those senders who do not practice quality list hygiene by cleaning out unengaged recipients from their sender list. What is the largest factor for filtering email? The spam complaint rate is the main reason that a sender’s reputation is damaged, and it can take a long time to rectify once that reputation is damaged. What is an acceptable email complaint rate? Generally, senders want to keep their email complaint rate at less than 1 of every 1,000 sent, or 0.10%. Unfortunately, the average is 0.17%! Real estate companies are the shining stars in this metric, while office supply stores are the worst. Marked as Not Spam Rate: When an email lands in the spam folder and the recipient finds it, some then mark the email sender as not sending spam. Since very few recipients are aware of or monitor this feature in the email software, this metric is of minimal importance. The overall average for this metric is under 2%. Email engagement rates and metrics are critical for marketers. While email spam complaints continue to rise, the fact is that email as a marketing tool is still widely accepted by the consumer. Keeping an email audience engaged is becoming more and more critical. Marketers must ensure that their email marketing lists are subscriber based. If the ESP is determining your email deliverability rate based upon engagement metrics, then the business owner must maintain a clean list. Marketers must have the discipline to administratively clean their own email subscriber list due to a lack of engagement, or the ESP will do it for them with lowered delivery rates. Business owners must supervise their marketing teams and ensure email subscriber lists are just that – subscription lists. Furthermore, we suggest marketers administratively opt out unengaged subscribers after 60-120 days, depending on the rate of send. Another tool that marketers should use is a list cleaning service such as MailGun or TowerData. These tools can automatically correct email typos or validate legitimate emails even from a subscriber-based list. Keeping your email marketing campaigns crisp, fresh, and well segmented can have a drastic effect on your email engagement rates. Viral Solutions uses a tool called MailGun for email validation, which is connected to Infusionsoft via PlusThis in Campaign Builder by using an HTTP Post. With MailGun, you can catch user-entry errors in your web forms with their API. Your CRM can reduce the bounce rate by removing temporary and disposable emails from your list. Within Infusionsoft, Viral Solutions modifies the settings so that unengaged subscribers are automatically opted out of an email list without causing harm to key metrics by deleting contacts. Though we have talked extensively in this article about email deliverability metrics from the vantage point of the ESP, as ReturnPath mentioned in their presentation, never forget that email deliverability is not something we blame on the tool of choice, the recipient, or the ISP – rather a metric we need to consistently keep top-of-mind as professional marketing consultants and business owners that rely on email engagement. Building any quality list that has a high rate of engagement begins by building a list that includes permission. Email marketing is a numbers game, and you need to not only study industry benchmarks but also remain diligent in comparing your engagement metrics to those industry benchmarks. The first follow-up email that delivers your offer is critical. It must be immediate, deliberate, and deliver exactly what was promised. This will help your metrics as much as anything. Limit the pitch to the appropriate time. If you’re going to get in the habit of pitching often, try to put yourself in the reader’s shoes. Ask yourself if your messaging is consistent with the expectations you’ve set. Your metrics will tell you how well you have matched your segmentation to your content. Email deliverability rates, engagement rates, and conversion rates from email are all critical to a successful email marketing campaign. Scaling your email marketing campaigns to align with best practices and ESPs’ watchful eyes is not an easy task. However, while it is not easy, it is an absolute must.